This is a reconditioned Parker (Lakeland) Model 412 compact bending machine. This unit was designed for field maintenance, prototype work, and low production requirements for small diameter tubing. If you do any tube fabrication, or want to get into the tubing business, this is a good machine to own. And, Parker (Lakeland) has a reputation for making top quality and highly reliable tube frabrication equipment. A full assortment of tooling for this unit is available, and can be quoted as a custom package. 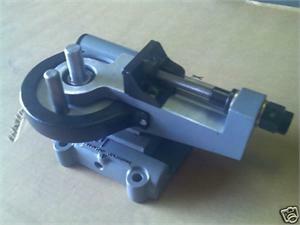 This allows you to buy only the tooling that you need for your business. Call us at 800.624.7760 to discuss your needs.